While I do have some dog-centric art in our home, I don’t feel like there’s too much or even enough yet. (The hubby might disagree). The thing is, until recently I had lots of photos of other dogs in our home. Recognize any of them? 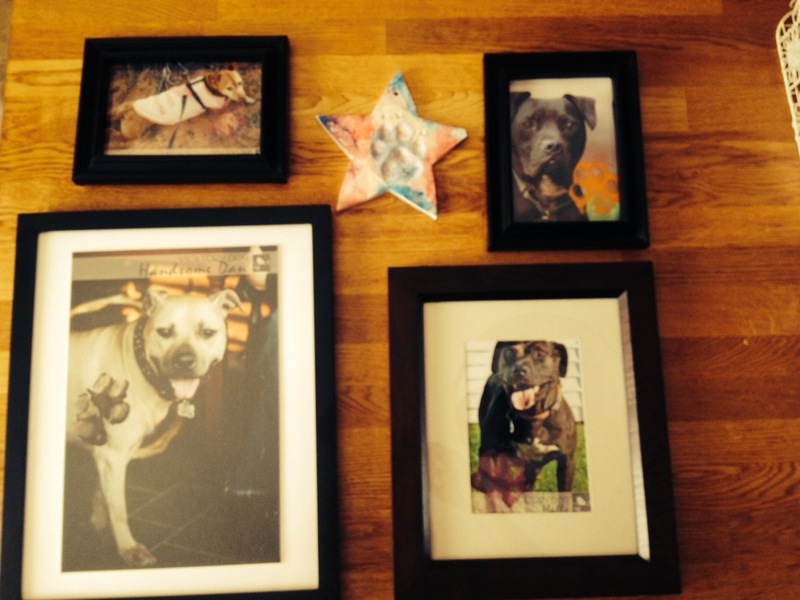 This is a portion of a collection I’ve gathered from participating in fundraisers, whether it’s been for Handsome Dan or Strut Your Mutt or even smaller fund raisers for blog dogs. Well, I finally found some frames I like and made some prints of the Peaceabull boys to adorn my shelves and will be planning to commission some more art this year. Hmmm…is this post s hint of some sort? 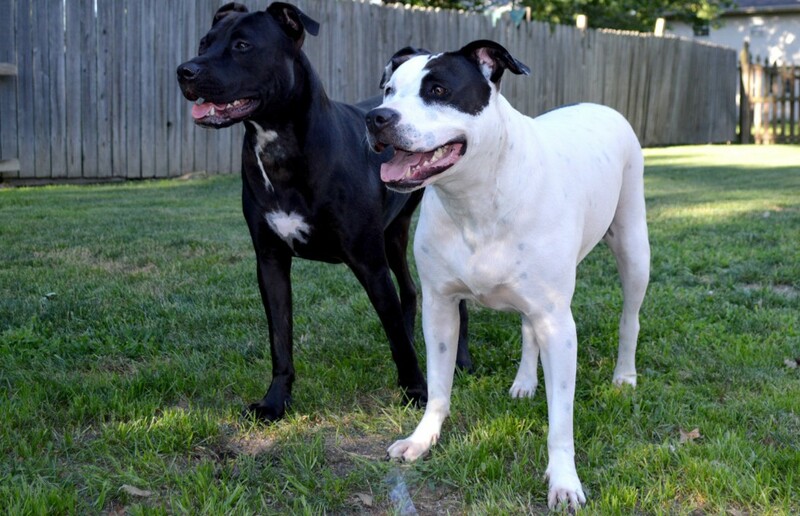 This entry was posted in adopt, adoptables, american bull dog, american staffordshire terrier, Julius, Peaceabull, Ray, volunteerism and tagged photos of dogs. Bookmark the permalink. YAY! Can’t wait to see!! YBH painting maybe?? I def think you need a YBH of the boys and I def hope the right person read this post and takes action on the HINT!!!! I sooo see YBH in my future.